So you’ve worked out that you have a budget of up to £500 to spend on your next camera, but you’re not entirely sure what makes the best buy. Fear not, as this month we’ve rounded up five of the finest mirrorless models from Canon, Olympus, Fujifilm, Panasonic and Sony to make your decision process that little bit easier. There are many benefits of choosing a CSC ahead of a more conventional DSLR, but ultimately it’s all to do with size. If you know you’d like a small, light camera that accepts compact lenses and doesn’t take up too much space in your bag, a CSC is definitely the right choice for you. Many manufacturers have developed their own styles, too, so you’ll want to ask yourself whether you want your CSC to have a modern or classic retro appearance. 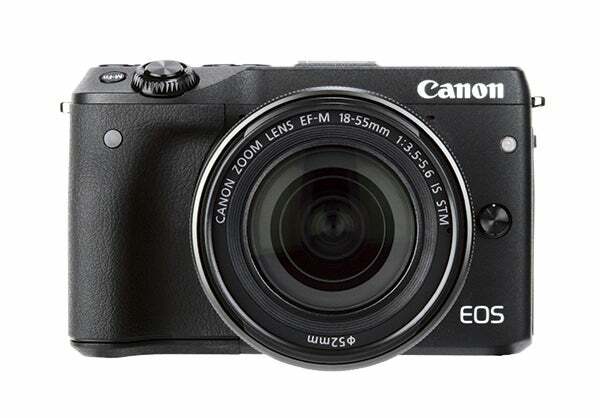 The EOS M3 is built around a sensor found in both the Canon EOS 750D and 760D DSLRs. Although this 24MP sensor is certainly welcome in a CSC, it unfortunately lacks the dual-pixel focus technology found in some more advanced Canon DSLRs. Instead, the M3 has a 49-point hybrid AF system with on-sensor phase-detect pixels. The M3 makes do with conventional full HD 1920 x 1080 recording at 30, 25 or 24fps. Its 3in, 1,040k-dot touchscreen is hinged – as opposed to vari-angle – while an EVF is an optional extra. Finally, the camera has Wi-fi and NFC connectivity and features an IR receiver. Compact yet solidly built, the M3 is arguably one of the best-handling CSCs in its class; the general layout of dials and buttons is well thought out. Similarly, the touchscreen will feel natural to smartphone owners. The only real disappointment is the 18-55mm kit lens, which, while sharp, is bulky compared to its rivals. The original EOS M struggled with focusing speeds but the M3 is a big improvement. Though not as quick as some rivals, it acquires focus promptly and is generally accurate. To use Canon’s EF and EF-S mount lenses, you’ll have to purchase the EF-EOS M mount adaptor. It works perfectly well with newer STM lenses, but with older lenses there’s a noticeable slowing of focusing. Start-up is almost instant and its 4.2fps continuous shooting rate is respectable, but it’s hampered by the inability to use live view while shooting in this mode, as well as being slowed by the usage of tracking AF. Image quality is very good, while noise is a mixed picture. The ISO range is 100-12,800, expandable to 25,600. Results are excellent up to ISO 400 and usable up to ISO 3200, but at the highest ISOs, they suffer. Finally, the M3 does lag a bit behind rivals with regards to dynamic range. The EOS M3 is compact, well made, and a pleasure to use. AF speed is vastly improved, though it still lags behind notable rivals. Images are impressive, with the sensor delivering bags of detail and low noise at lower ISOs. But it has a relatively slow burst mode and small buffer, while the kit lens is bulky compared to the competition, though optically it’s very good. The rise of the selfie has seen many manufacturers introduce articulated screens. The X-A2 is a good example, and its new 3in, 920k-dot tilt-type screen that can be flipped by 175° is the biggest change to a camera that shares many similarities with its predecessor – the X-A1. Introducing multi-target AF, other refinements see Classic Chrome added to the film simulation modes, a 17% improvement in battery life, and an all-new Auto Macro function. This last addition is designed to tie in with the camera’s new kit lens, which enables users to focus closer to within 15cm of a subject. In all other respects, the X-A2 is a carbon copy of the X-A1. It adopts the same 16.3MP APS-C-size CMOS sensor and EXR processor II, providing an ISO range of 200-6400 that’s expandable to ISO 100-25,600. There’s a 256-zone TTL Multi metering system, built-in pop-up flash, Wi-fi connectivity and +/-2EV exposure compensation. The shutter speed range of 30secs-1/4000sec remains unchanged and it continues to offer Full HD video recording. The body is made entirely of plastic and there’s a handling quirk, too – the smaller recessed wheel located above the thumb rest is rather loose and is prone to being inadvertently knocked. The screen has a rather plasticky feel about it, much like the body. 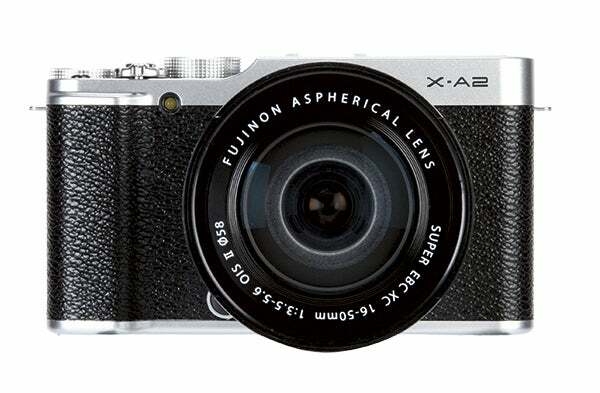 The X-A2 performs admirably, and is capable of shooting at 5.6fps for as many as 30 frames set to JPEG. The contrast-detect AF system acquires focus within 0.3sec. Where the camera really shines is in the image quality. Sharp, well exposed and full of detail, superb results can be achieved up to ISO 3200, with noise only becoming obvious at ISO 6400 and beyond. The X-A2 also offers Dynamic Range Compensation that allows you to expand the dynamic range in the shadows and highlights before detail begins to clip. In-camera Raw conversions are possible, too. Fujifilm has refined the X-A2 to ensure it’s well tailored for those who’d like to buy their first serious camera and take their photography to the next level by using manual control. Its design and image quality make it one of the most attractive entry-level CSCs, and it’s only let down by its rather plasticky construction, meaning it’s much less robust than Fujifilm’s premium models. 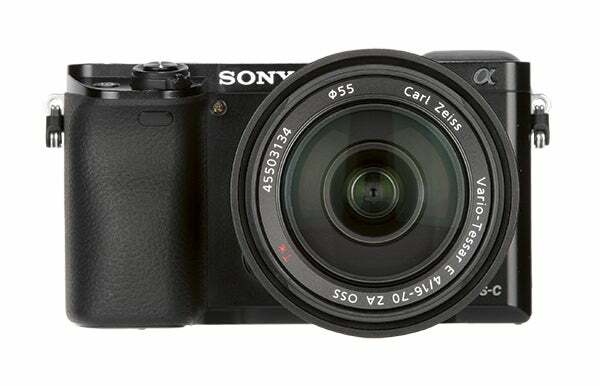 The Alpha 6000 replaces the NEX-6, as Sony migrates all its NEX cameras over to its Alpha range. The A6000 is equipped with a 24.3MP Exmor CMOS sensor, Sony’s latest Bionz X image processor and a lightning-fast AF system. The proprietary Bionz X processor enables the A6000 to shoot at 11fps for up to 49 consecutive frames when shooting JPEG, or 21 frames in Raw and JPEG. It also helps to facilitate lightning-fast autofocus, with Sony claiming a minimum focus acquisition time of just 0.06 seconds. The Hybrid AF is not only quick but also accurate, thanks to the 25 contrast-detect and 179 phase-detect points. While the A6000 operates like a DSLR, it looks and feels more like a CSC, much like its predecessor, the NEX-6, did. With a lens attached, the A6000 feels balanced and comfortable. The handgrip features an ergonomic, rubberised finish that allows for easy one-handed operation too. 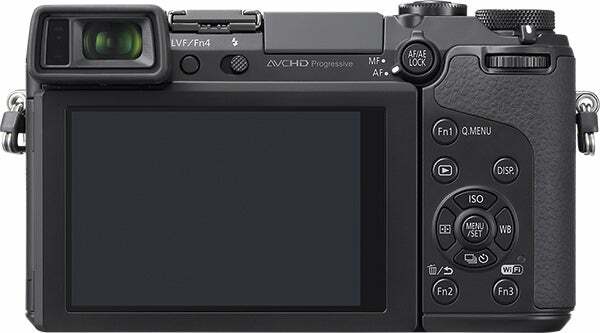 While the NEX-6 featured a 0.5in, 2.3m-dot electronic viewfinder, the A6000 comes with a 0.39in, 1.44m-dot unit. While that does feel like a bit of a step backwards, the 100% field-of-view and increased vibrancy and clarity are both improvements. On the back there’s a 3in, 921k-dot LCD display – hardly class-leading, but still capable enough. In terms of connectivity, the A6000 boasts both Wi-fi and NFC, allowing for wireless image transfer and remote shooting. The Sony A6000 uses a 1,200-zone evaluative multi-segment metering system that excels when it comes to delivering accurate exposures. The Auto White Balance setting is consistent, even in mixed lighting. Image noise is well controlled up to ISO 6400, although beyond this, noise does begin to take over. Thankfully, this can be alleviated with the camera’s multi-frame noise-reduction technology. The Sony Alpha 6000 comes with an impressive specification, and its performance doesn’t disappoint. The blisteringly quick autofocus performance and a superb burst mode are especially worth singling out for praise. It’s hard to pick out any substantial flaw on the Alpha 6000, and it’s safe to say that it is one of the most impressive compact system cameras around. 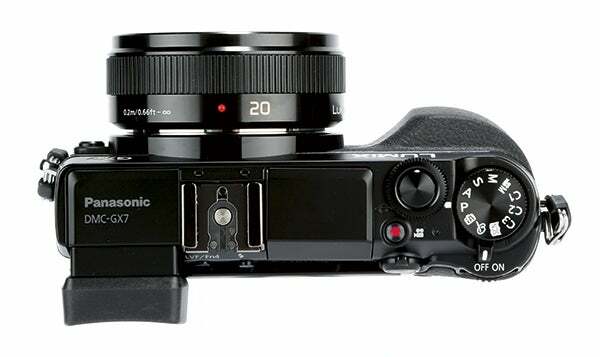 The E-M10 is aimed towards the consumer end of the market. It meets this market with certain compromises, including a lack of weatherproofing. The E-M10 does, however, retain the same Four-Thirds 16.1MP sensor seen in the E-M5 and inherits the TruPic VII processor from the E-M1 – which delivers a continuous shooting speed of 8fps. A key feature of the OM-D E-M10 is its EVF, which features a resolution of 1,440k dots and comes with 100% field of view coverage and a lag time of 0.027 secs. An impressive screen accompanies the viewfinder and measures 3in, with a resolution of 1,040k dots. Furthermore, the LCD features full touch technology as well as being of the vari-angle type. The three-axis image-stabilisation system is a touch inferior to the five-axis system seen on the E-M1 and E-M5. As well as a built-in flash, there’s built-in Wi-fi to wirelessly transfer images using the manufacturer’s OI.Share app. The camera is well designed in terms of ergonomics. A substantial handgrip and rear textured thumb grip make it secure to hold, while in terms of autofocus, the camera benefits from an 81-segment set-up. Thanks to this substantial coverage, it delivers a sharp focusing performance with a good level of accuracy. The EVF’s 120fps refresh rate means there’s barely any lag and it can display colour mode options and art filter effects as they’re applied. The metering system generally performs well, with a dynamic range performance that almost matches that given by similarly-priced DSLRs. A detail readout of 28 l/ph was recorded at its lowest ISO setting and the in-camera image noise reduction works effectively up to ISO 1600. Above this point users will find there is an impact on the rendering of fine detail. As for colour, the general colour palette is also fairly true to life. 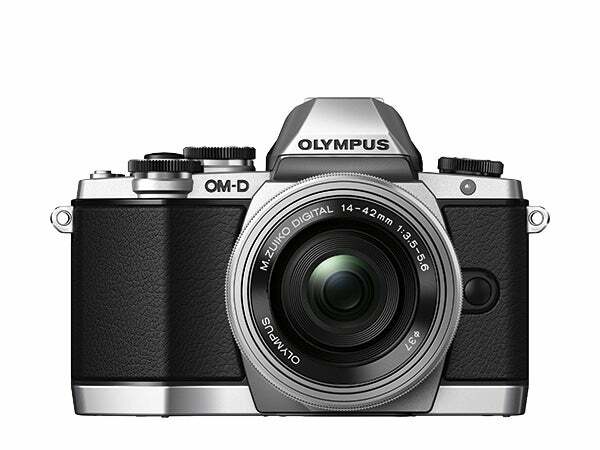 The OM-D E-M10 is up against some stiff competition in the Compact System Camera market. 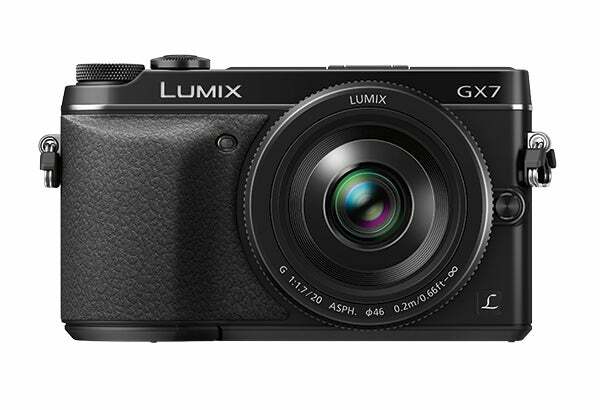 While it might not quite have the edge over its DSLR price-rivals, it has enough DSLR-esque functionality to potentially get the nod for enthusiasts over the Panasonic GX7. With impressive images, and the growing OM-D system to which the E-M10 belongs, it would make a wise investment. The Lumix GX7 is more than just a subtle upgrade to the GX1 – it’s a completely reworked model that’s been designed from the ground up to appeal to enthusiasts and professionals looking for a compact alternative to their DSLR kit. Though it may share a similar 16MP resolution to other Lumix models, the chip is completely new and is combined with a new Venus Engine processor, which helps to deliver an improved image noise performance and broader dynamic range. This is reflected some way in the camera’s ISO, running from 200 to 25,600 (expandable to a base ISO of 125 if this is required). There’s a raft of other updates, too, most notable of which is the inclusion of a built-in electronic viewfinder with an impressive 2.7m-dot resolution. It offers tilt functionality, just like its 3in, 1.03m-dot touchscreen and becomes the first camera of its type to offer a so-called ‘double-tilt’ design. Focus speeds of 0.06sec are achieved through Panasonic’s Light Speed AF technology, and it’s capable of focusing in lighting conditions as dark as -4EV (roughly equivalent to starlight). It’s refreshing to see a top shutter speed of 1/8000th sec, while the flash sync is also impressive at 1/320sec. Adding to these high-speed credentials is a 5fps continuous burst rate in Single AF with its mechanical shutter, while it’s also possible to shoot 12 frames at a rate of up to 60fps using the electronic shutter. Not to forget connectivity, the GX7 is fully equipped with Wi-fi and NFC and shoots full HD footage at 50i, 25p, or movie-like 24p in the AVCHD format. It is a little disappointing that there are no connections to plug in an external microphone, however. Larger than the GX1, the GX7 has a number of exterior controls and dual dials for independent control of aperture and shutter speed in manual mode. The relatively large rubberised grip is well received and there’s a very useful AF/AE button found within the AF/MF switch. The EVF does jut out from the body, but the tilt screen sits flush and the combination of its magnesium chassis and tactile finish provides a very high-end, premium feel that shouts quality. The touchscreen speeds up general shooting and is great for tapping with the finger to acquire focus. There are no complaints about how it focuses either, capable of performing well in the most dimly lit of environments. The camera exposes accurately and the most exposure compensation you’ll have to dial in is between +0.3-0.7EV in some instances. Noise-free images are produced all the way up to ISO 1600, with chroma noise starting to become more obvious at ISO 3200 and above. Our lab tests showed that the GX7 is capable of resolving detail down to just over 24 lines per mm (lpmm) at a base ISO of 200, dropping down to 20 lpmm at ISO 6400. 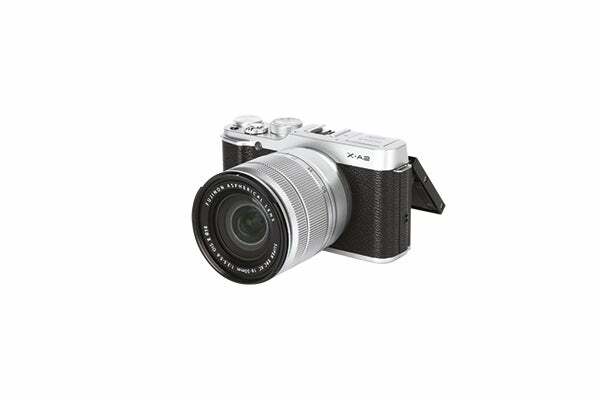 This compares well to DSLRs with APS-C sensors and matches its closest rival, the Olympus PEN E-P5. The Panasonic Lumix GX7 offers an excellent shooting experience which it backs up with a sensor that performs very well. It’s a different proposition from the GX1 and is worth the extra outlay for the plethora of programmable body-mounted controls and host of impressive features that will certainly keep photographers more than satisfied in most situations.